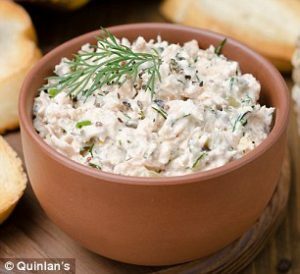 Put the Quinlan’s Kerry Fish Smoked Salmon, cream cheese, crème fraiche and lemon juice into a blender and pulse until the pate is the desired consistency. Add the chopped fresh dill and season with salt, pepper and sugar and pulse for a few seconds. Garnish with fresh dill and serve with crusty bread or oatcakes.